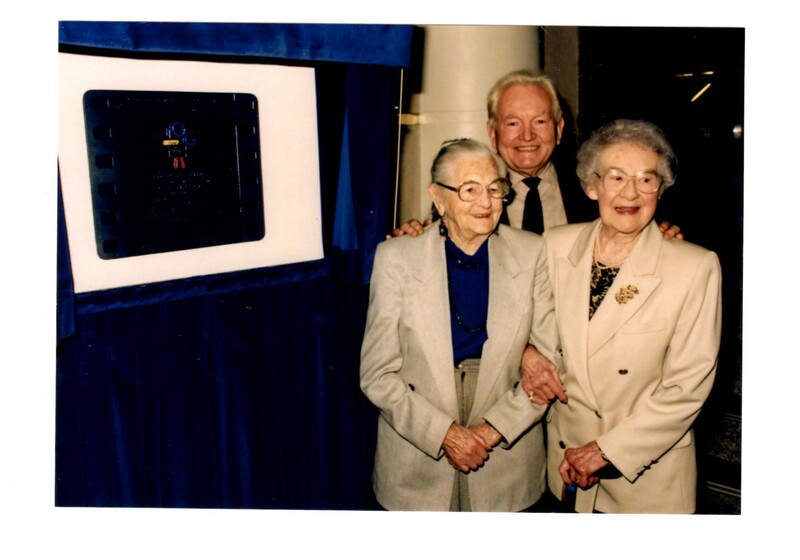 Molly Watkins, Bob Allen, & Hilda Barrow, George Grove’s sister at Warners Theatre unveiling. an equal in developing the talking pictures. He was the head of the Vitaphone system; George Groves stayed on in Hollywood, so earned his fame there. 1934, London. 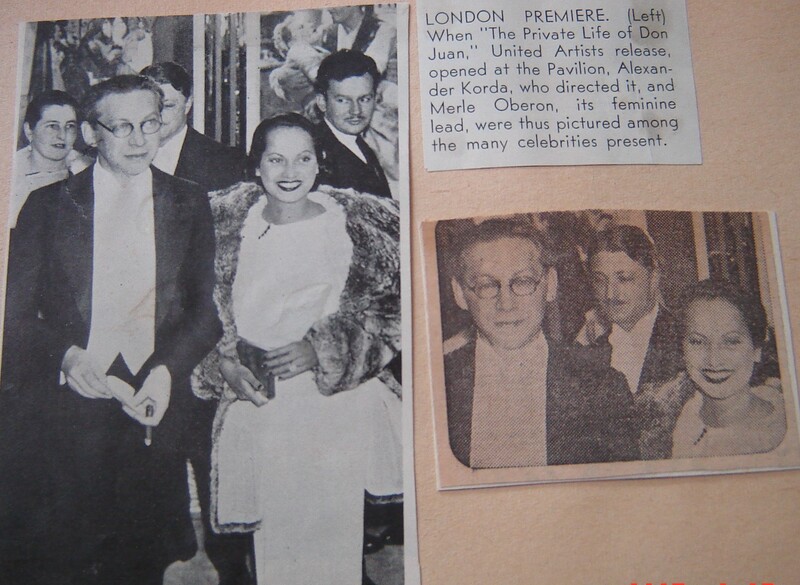 I have no idea who the gent looking over Merle Oberon’s shoulder is, but who are the handsome couple behind Alexander Korda? Just some of the “many celebrities present” – Molly and Stan Watkins, my parents. 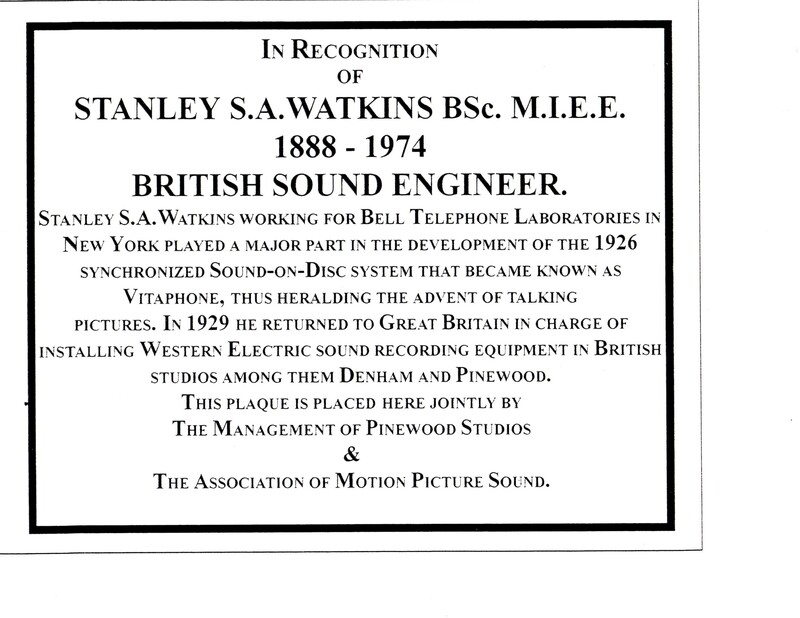 Stan was head of Western Electric in Europe at the time managing the sound installations at British and European film studios, so working with Mr Korda, Herbert Wilcox and others. Can anyone tell me which newspapers the two photos might have come from??? I’d love to give them credit. It’s a real kick to see your Dad and his achievements on a public plaque. This one is at Pinewood Studios near London’s Heathrow Airport. (The James Bond movies are made at Pinewood) As I didn’t have a car at the time some kind friends drove me out to see the plaque. A large tray of pebbles stands at the ready. A particular scene is projected on a screen. An actor walks up the beach out of the ocean, and a girl in the studio watches intently. She matches her footsteps on the pebbles with those of the actor on the screen. This is done over and over until the sound man painstakingly twiddling the many knobs on the dubbing machine is satisfied with the synchronization. In the next clip a gun is fired. The studio girl now has a gun; she watches the scene and at the right moment fires her gun. Again this is done many times until the sound and visual are in total accord. What a lot of work for one sound; we are amazed at the fine tuning needed before the dubbing is acceptable. This is what my Dad had to do in the 1920s with 16″ recorded wax discs and a silent film on the screen. Each disc lasted for 10 minutes of screen time. A far cry from the Pinewood set up. But it got the talkies off the ground. Where oh where has it gone? This plaque was erected in the Warner Theatre in London’s SoHo to celebrate the 100 yrs of Cinema. My mother and George Groves’ sister unveiled it, and my sister Su and brother John with other relatives were also there. The Warner Theatre was taken over by Vue and during the reconstruction the plaque was taken down; an elevator is now where the wall was. Nobody seems to know what has happened to the plaque and it seems odd to me that it would just be disappeared, even thrown away. If anyone can give an answer to this mystery, my family would be grateful. “I’m not sure adding sound to movies was a good thing, but I think the telephone is because it keeps people at home.” I remember my father saying that to me sometime in the 1960s. What a laugh that would get in the 21st Century! I’m a bit of a Techno-Peasant. The first time I heard someone on a cellphone ask “Where are you?” I thought: what a silly thing to ask; of course they had to be home to pick up the phone. I have a cheap & cheerful cellphone now; I can talk and text and even take photos (but not selfies). But it’s that other quaint invention, sound movies, I’m on about. My Dad was an electrical engineer with Bell Labs in NYC. After working on other recording systems, in the mid-20s he headed the Vitaphone system that added sound to movies, working with Sam Warner on Don Juan and The Jazz Singer. He retired to the UK and in 1964 he wrote his unpublished “Sortabiography: The First 60”. I am now trying to write a proper biography but, like my cellphone, I have limited capabilities. Maybe, my sons suggested, a blog would get the word out into cyberspace and someone might come forward with just those bits of information I need. So here I am. Are you there? 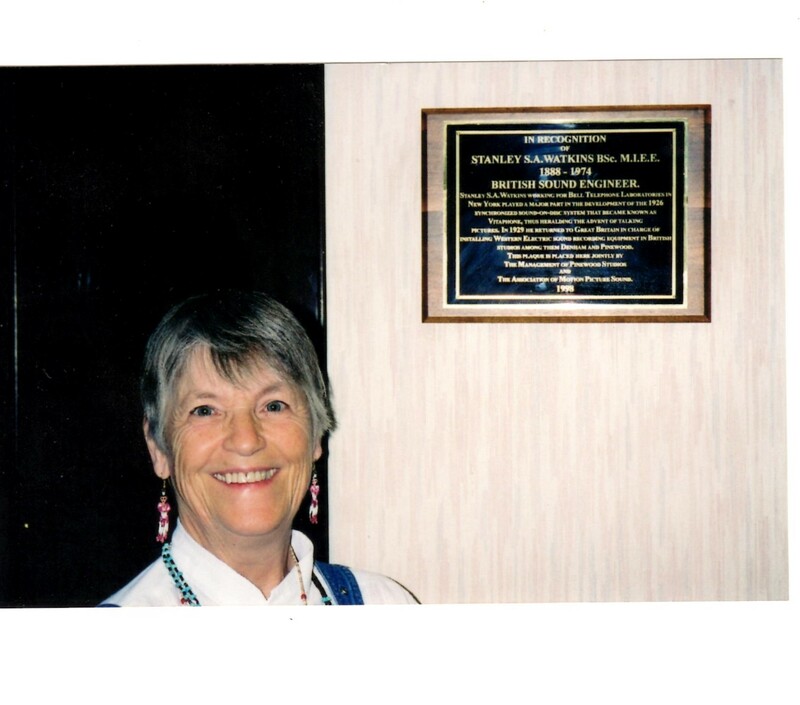 Have you got that nice story about Stanley S. A. Watkins that would add so much to the biography? Did you know him? What do you remember? Did your father or grandfather work with him at the Labs? or when he was showing sound men (they all were men then, weren’t they?) in Hollywood how the Western Electric system worked? Perhaps you just sat and talked with him, like I wish I had. Let me know. I’m all ears and I hope the title of my blog is a sign of things to come. Create a free website or blog at WordPress.com. | The Independent Publisher Theme. Blog at WordPress.com. The Independent Publisher Theme.